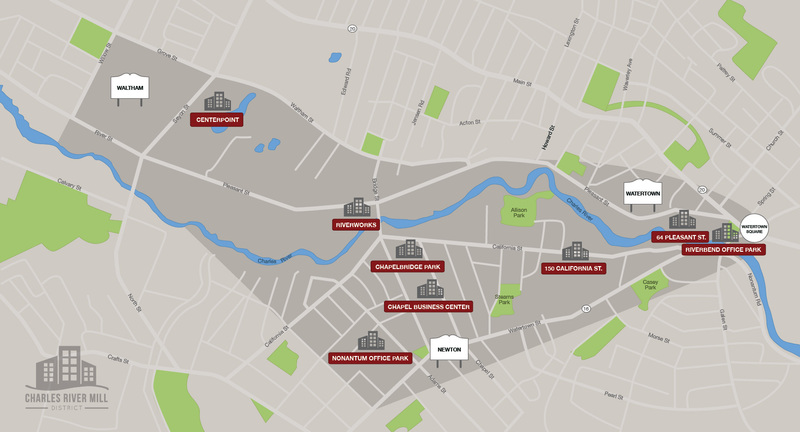 River Mill District : Chapel Bridge Park | A State-of-the-art business campus just minutes from Boston. The Charles River Mill District. Chapel Bridge Park is a member of the Charles River Mill District. Newton-Needham and Watertown-Belmont Chambers, in partnership with our municipal leaders in Newton, Watertown and Waltham, have recently launched an initiative to brand the corner where Nonantum, Watertown and Waltham intersect, as the Charles River Mill District. Chapelbridge Park is proud to be part of this new district.